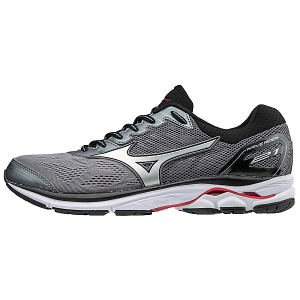 The Wave Rider 21 hits the sweet spot for a wide variety of runners. 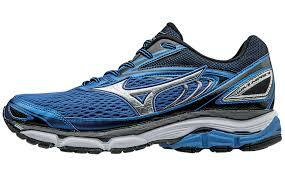 This model is the most popular style from the Mizuno brand. New and improved U4iC midsole and refined sock-liner. Visit either location to view this model. 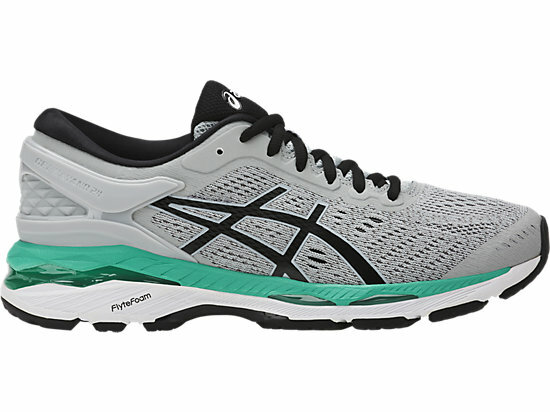 U4ic midsole delivers lightweight, resilient cushioning., Dissolving upper fit with new Dynamotion Fit execution and soft, supple mesh materials., SmoothRide Engineering for a brilliant run., Lateral Forefoot Sculpting for smooth touchdown and transition., Blown rubber forefront with deep flex grooves for optimal flexibility and cushioning.